located in posh Banjara Hills area in the close proximate (1 & 1/2 km) of the Star Hotels like Taj Krishna, Taj Residency and Taj Banjara etc., and 1 K.m. from Road No. 1 & 10 Junction (i.e., petrol pump). 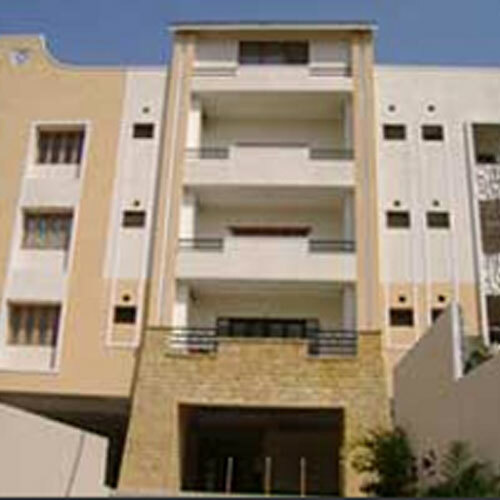 Limited flats i.e., 6 flats (3 Bed Room Deluxe Flats) in each floor, total 18 flats only.